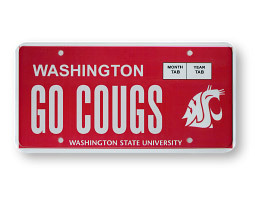 For several years the Washington State University Alumni Association has had designs on a new WSU license plate. This January, plans to replace the blue, white, and Cougar logo plate with an all-crimson plate came through. 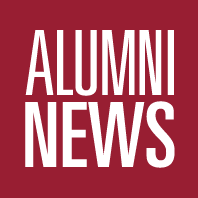 Now alumni and friends can license their cars, show their affinity for WSU, and raise money for scholarships. Sue Senner’s (’80 Comm.) travels occasionally take her to places like Chornobyl, Ukraine, and Moscow, Russia. She is a project manager for the International Nuclear Safety Program (INSP) at Battelle Pacific Northwest National Laboratory in Richland. For several years, she has provided communications support to international nuclear safety groups. She also manages a safety project for the Bilibino Nuclear Power Plant in northeastern Russia, currently helping staff there coordinate an emergency preparedness exercise for later this summer.